Charles Bogert (1908-1992) and his wife Martha (ca 1917-2010?) visited Chapala in 1960 and recorded a mariachi band – the “Mariachi Aguilas de Chapala” – playing several well-known songs. The recordings were released on a Folkways record later that year, and accompanied by explanatory notes written by the couple. One of the curiosities about this record is that it came about almost by accident. Bogert had not visited Chapala to record mariachi music but was there with funds from the American Museum of Natural History to record and analyze the mating calls of the local frogs! Charles Mitchill Bogert was born 4 June 1908 in Mesa, Colorado. 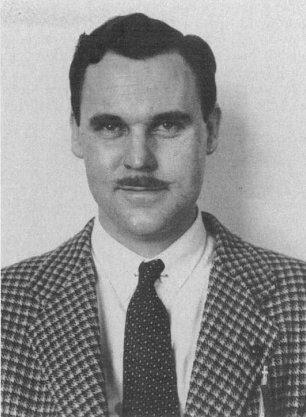 He gained his undergraduate (1934) and master’s degree (1936) at University of California, Los Angeles before being appointed as assistant curator in the Department of Herpetology (Snakes) at the American Museum of Natural History from 1936-1940. He was promoted to associate curator in 1941 and became curator in 1943, a position he held until 1968. His work with snakes included several field expeditions to Mexico, the earliest in 1938. He also traveled extensively in Central America, researching snakes and frogs in Honduras, Nicaragua and Costa Rica. Bogert published numerous articles in academic journals related to his chosen field of expertise and was made the first president of the Herpetologists’ League in 1946. From 1952 to 1954 he served as president of the American Society of Ichthyologists and Herpetologists, and in 1956 was vice-president of the Society for the Study of Evolution. Just how did the mariachi recordings come about? In 1957, Folkways Records had released an LP of recordings made by Bogert (many of them in the Chiricahua Mountains of Arizona) entitled Sounds of North American Frogs. The following year, Folkways issued an other LP – Tarascan And Other Music Of Mexico (FX 8867) – which featured tunes from Chihuahua, Jala, Tepic and Lake Pátzcuaro and included a 12-page booklet by the Bogerts. In 1959, Folkways released Sounds of the American Southwest (FX 6122). In 1960, the American Museum of Natural History awarded Bogert funds and provided him with the equipment to visit Chapala and record the sounds of that area’s local frogs. It was in the course of this trip that the Bogerts recorded the Mariachi Aguilas de Chapala. In their notes, the Bogerts recognized that though “The mariachi band may be no more typical of Mexico than the sahuaro cactus is typical of the American deserts… [it] is now as prominent in Mexican culture as the giant cactus is in the desert landscapes of Arizona and Sonora.” They offered some historical context to the development of mariachi music, though modern scholars of the origin of mariachi music would beg to differ with their version. The band had ten musicians, playing two trumpets, three violins, one guitarrón, one guitarra de golpe, and three guitarras. 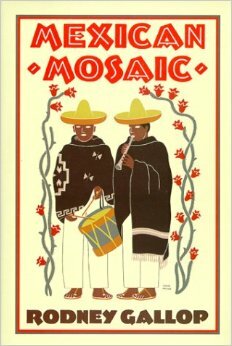 The songs recorded were Atotonilco; Las Olas; La Negra; Jarabe Tapatío; La Bamba; Chapala; Tecalitlán; La Adelita; Las Bicicletas; Ojos Tapatíos; Ay, Jalisco, No Te Rajes! ; Las Mañanitas; and El Carretero Se Va.
During the 1960s, the Bogerts continued to visit Mexico, with Charles Bogert, in his role of herpetological researcher, focusing mainly on the Oaxaca area. Bogert has the distinction of having had at least 21 reptiles and amphibians named after him by his colleagues, including a subspecies of the venomous Mexican beaked lizard called Heloderma horridum charlesbogerti. Bogert died at his home in Santa Fe, New Mexico, on 10 April 1992. 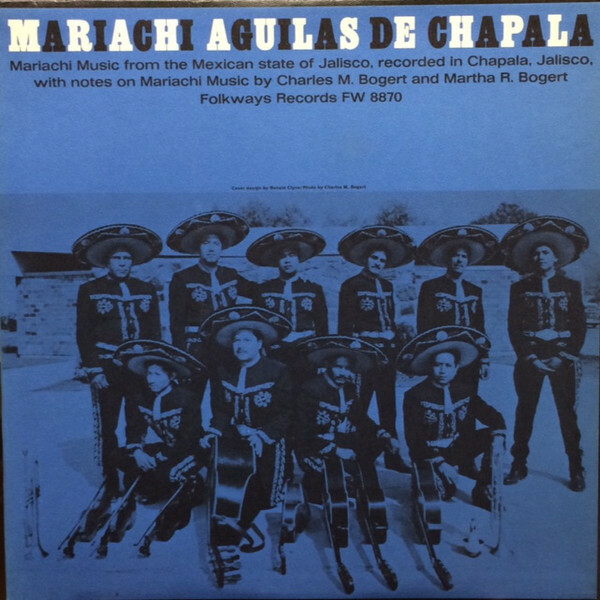 Bogert’s recordings and notes about mariachis are valuable reminders of Chapala’s long musical history, but the Bogerts were by no means the first visitors to Chapala to laud the irresitible attractions of mariachi music. For example, in 1941, David Holbrook Kennedy became fascinated by a local mariachi band, especially by one of its singers in particular. Nor was mariachi music the only attraction for anthropologists interested in music. At the start of the 1950s, a well-known American musicologist – Sam Eskin – visited Ajijic for a short time and (from the patio of the Scorpion Club) recorded the ambient sounds of a religious festival in Ajijic, complete with church bells and pre-dawn firecrackers. Barbara Krader. 1961. Review of Folkways record “Mariachi Aguilas de Chapala”. Ethnomusicology (University of Illinois), Vol 5 #3, September 1961, p 227. Charles W. Myers and Richard G. Zweifel. 1993. “Biographical Sketch and Bibliography of Charles Mitchill Bogert, 1908-1992”, in Herpetologica, Vol. 49, No. 1 (March 1993), 133-146. In about 1937, English author Rodney Alexander Gallop (1901-1948) visited Ajijic, where he met Nigel Stansbury Millett and another (unnamed) young Englishman. Gallop recalled this chance encounter in 1948, shortly before his death when he reviewed the book Village in the Sun for The Spectator. Gallop recognized that the book’s supposed author – Dane Chandos – was actually a pen name, but ascribed it to Millett alone. It is now accepted that the Dane Chandos name was a joint partnership between Millett and Peter Lilley, who may have been the other young Englishman Gallop met in Ajijic, though no proof has yet emerged placing Lilley there prior to the early 1940s. Gallop was born in Folkestone, England, in 1901, and died on 25 September 1947. He was an accomplished ethnomusicologist and linguist, fluent in several languages, including Spanish and German. In 1922-23, while studying at King’s College, Cambridge, he attended classes given in Spain by German basque expert Hermann Urtel, the beginning of a lifelong interest in Basque culture. After university, Gallop entered the U.K. diplomatic service, which led to successive postings in Belgrade, Athens, Lisbon, Mexico and Copenhagen. Wherever he served, he sought local traditional folklore in dances, poetry, song, and art. He made important collections of items relating to local culture in Greece, Portugal and Mexico. These collection were later donated by his widow, Marjorie Gallop, to the Horniman Museum and Gardens, in south London. The first part of the collection, items from Yugoslavia, Albania, Greece, Portugal and Mexico was donated in 1960, followed by several Mexican dancing masks in 1967, and a pair of earrings from Pahuatlán, Puebla, Mexico, in 1977. Gallop wrote extensively about his findings and experiences. As a result of his diplomatic assignment to Portugal, Gallop wrote the well-received A Book of the Basques (1930), Six Basque Folksongs, with adaptation in English verses (1931) and Portugal, a Book of Folk Ways (1936). Gallop was also a frequent contributor to the journal Folklore. He helped revive an interest in international dancing in the U.K., organizing, with the help of Violet Alford, the International Folk Dance Festival in 1935. This led, indirectly, to the founding of The International Council for Traditional Music in 1947. An hour’s drive to the south-east brings one to Lake Chapala, a great stretch of opaque water, glinting with opalescent light, sixty miles long and from eight to twelve wide. Here D. H. Lawrence chose to set some of the scenes of The Plumed Serpent. Cloud-topped mountains slope down to its western and southern shores, some of them in Jalisco, others in Michoacan, where one hears stories, never properly investigated, of Indian tribes with fair skins and grey eyes. Gallop returned to Europe as the second world war was starting and devoted himself to making broadcasts in Danish for the BBC, aimed at boosting the morale of Danish resistance against the occupying forces. For this work, he was later made a Companion of the Order of St. Michael and St. George. Philippe Veyrin: “Rodney A. Gallop (1901-1948)”, in Eusko Jakintza, 3 (1949), 79-88. Rodney Gallop: “Rural Mexico: Village in the Sun. By Dane Chandos”, review in The Spectator, 17 June 1948, 22.